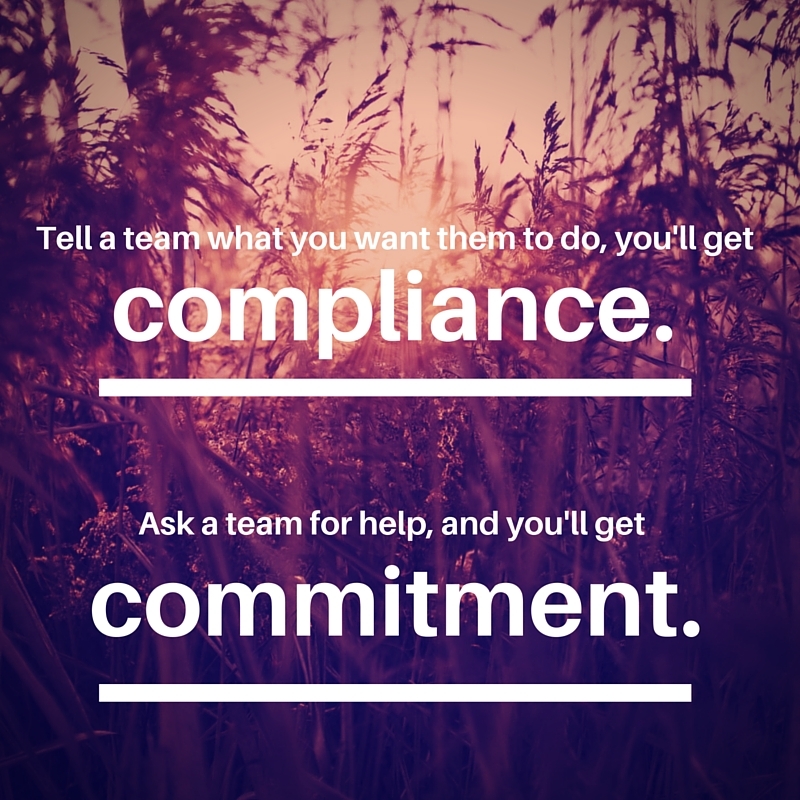 Tell a team what you want them to do, you’ll get compliance. Ask a team for help, and you’ll get commitment. Sure, it’s easier to tell people what to do rather than ask for their opinions. However, if you share those opinions in a collaborative way, your decision can be implemented safely, effectively and efficiently. While it might be quicker to gain compliance in the short run, it actually takes longer to execute because people will drag their feet, question your commands and perhaps even sabotage your plan. All of these add time to your project and affect the quality of the implementation. When you take the time upfront to ask for help building on your ideas, team members are now part of the process. They can see their contributions (I call them fingerprints) on the final product. And that which we help create, we are much more likely to follow through to completion. 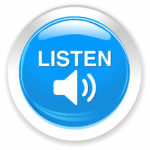 What’s the problem to be solved or opportunity we should leverage? What’s causing or impacting this? How should we implement this idea successfully? Just make sure that you haven’t already made up your mind. I was meeting with an executive many years ago to facilitate a strategic planning session. He wanted to have his team develop the “vision” and the strategic plan to achieve that vision. The more he talked, I realized that he had already had his vision of a hard trail ride going to XXXX complete with bandanas and BBQ for dinner. Nice metaphor, eh? I explained that this is like a bait and switch. You build up the team to think they have a say in crafting the vision, but then you really won’t do anything with their contributions. If you’re not willing to budge from your idea, then don’t open it up to the team. It’s okay, there are some decisions that should be made at the executive level! Not everything has to be done by group consensus! Instead, tell them your position and WHY it is the path forward. Then ask the team HOW they can implement the idea. With the “bandana executive,” he told the team his vision and why it was so important, answered questions for clarification and then asked for the team’s help in developing the plan to get there. Ultimately, he gained commitment to both the vision and the plan. Are your teams committed or compliant to the work that they do? Kristin Arnold is a professional meeting facilitator and international speaker who is passionate about teamwork. The Extraordinary Team’s approach to building high performance teams combines consulting, coaching, training and process facilitation within the context of real working issues. You can read more of her work in one of her books.